As summer approaches, the sun continues to get more intense. This is definitely cause for some celebration–after all, us in Northeast Ohio know better than many what it feels like not to see much sun for practically six months straight. But it’s important not to get too carried away when it finally gets warm, because it could cause us a lot of issues later in our lives if we do. More people in the United States develop skin cancer every year than the amount of people diagnosed with any other cancer all combined. One fifth of Americans get skin cancer by age seventy. And yet it seems that many people still do not understand (or perhaps do not want to understand) the severity of the situation. So what can you actually do to prevent this illness? Usually it is as simple as just covering up outside in the sun when you can; you can buy lots of light clothing that gives you protection without being too hot. 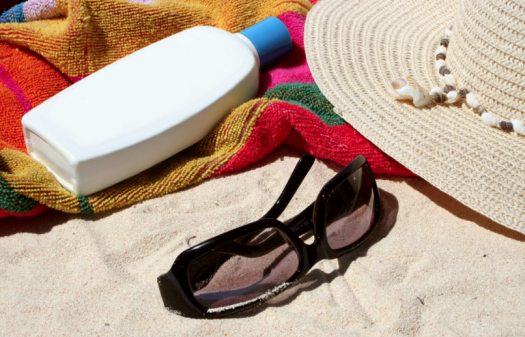 Wear sunglasses with UV protection and a brimmed hat when outside, and apply sunscreen with an SPF of 15 or higher every two hours. The most dangerous hours to be exposed to the sun is from 10am to 4pm, so it is best to seek shade when outside during this time. And if you have a spot on your skin that looks odd, don’t hesitate to call your doctor and get it checked out! Melanoma and other types of skin cancer are highly treatable, but like other cancers, the survival rate drops the later you are diagnosed. I won’t pretend that it doesn’t feel good to be tan and that everyone will be willing to avoid the sun when it is the nicest outside and that when you are having fun having to stop and put on sunscreen is not a hassle. But the truth is that doing these relatively small things are sacrifices that could prevent you from having to make much greater ones later on. And when these “greater ones” could include your life, I think it is safe to say these small sacrifices are worth it.